VA Loans Do a Great Job of Serving Those Who Have Served Us! VA loans continue to provide cost-effective and accessible loans to military men and women and their spouses. In today’s market there are many obstacles for a home buyer when it comes to applying for a mortgage. Many potential home buyers have been pushed out of the market altogether because of the stricter credit and income requirements. However, throughout the housing market meltdown, the VA loan program has done a great job of serving those who have served us! It has continued to provide cost-effective and accessible loans to military men and women and their spouses. Understanding how a VA loan works is the first step toward getting into your dream home. Equally important is understanding what qualifications you need to meet to be eligible for a VA loan. 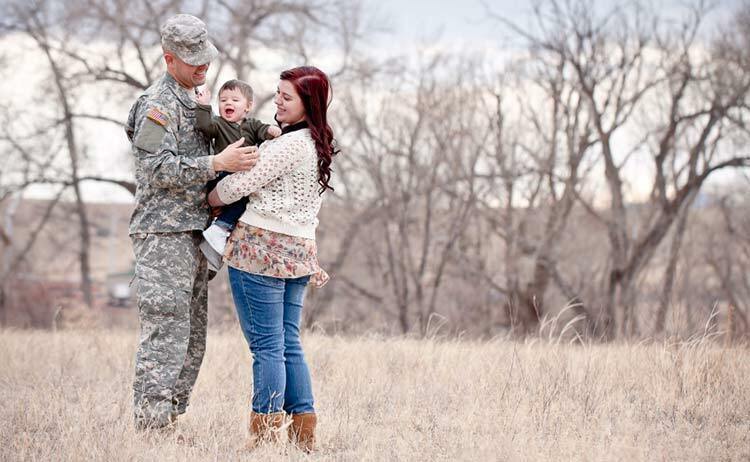 The VA mortgage offers 100% financing to veterans and their spouses. In addition, veterans do not have mortgage insurance on the loan. There is a funding fee that ranges from .5 to 3.3%. The funding fee is waived for a veteran that receives a minimum of 10% VA disability compensation. Because the VA mortgage gives lenders a greater degree of flexibility and safety, it offers more competitive rates than non-VA loans. Served 90 consecutive days of service during wartime. Served 181 days during peacetime. More than 6 years in the National Guards or Reserves. A spouse of a service member who died while in the line of duty. Sean Zalmanoff has over a decade of experience helping St. Louis veterans get approved for VA mortgages in St. Louis. He can approve your mortgage prior to finding your new home with his one of a kind “TBD Mortgage Approval Program”, so you can shop with confidence. If you would like to find out what VA loan you are eligible for, call Sean Zalmanoff: USA Mortgage at (314) 361-9979 or apply online today!